Living in Calgary gives us ample opportunity to hit the Rocky mountains when the urge strikes us. 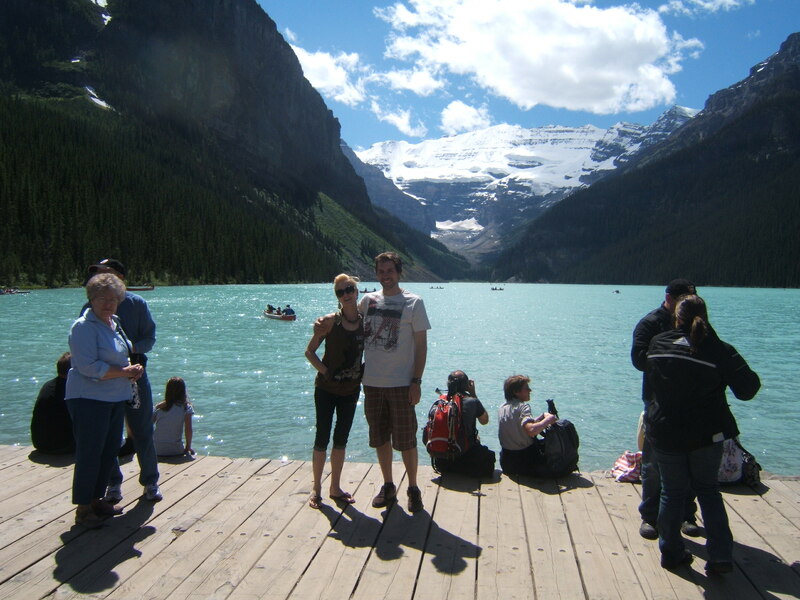 Banff is an hour from our front door and Lake Louise a little further down the highway. 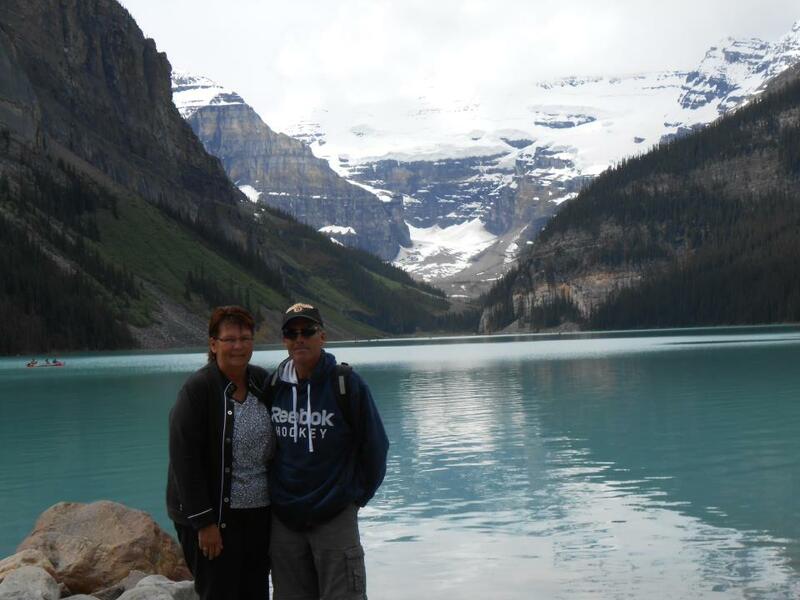 This shot was taken in Lake Louise in late May, just as winter is loosening its grip on the lake. My sister Janice and her husband Kirk (they just retired so I’m kind of pissed at them) popped out for a quick visit with us over the Canada Day long weekend. We did a bit of sightseeing with them before they headed off south into Montana. I have decided to name this the Great Calgary Wildlife Tour. We did an afternoon in downtown Calgary. You can get a nice drink and a stupendous view of Calgary’s downtown wildlife from this perch on Stephen Avenue. A great place for people watching. 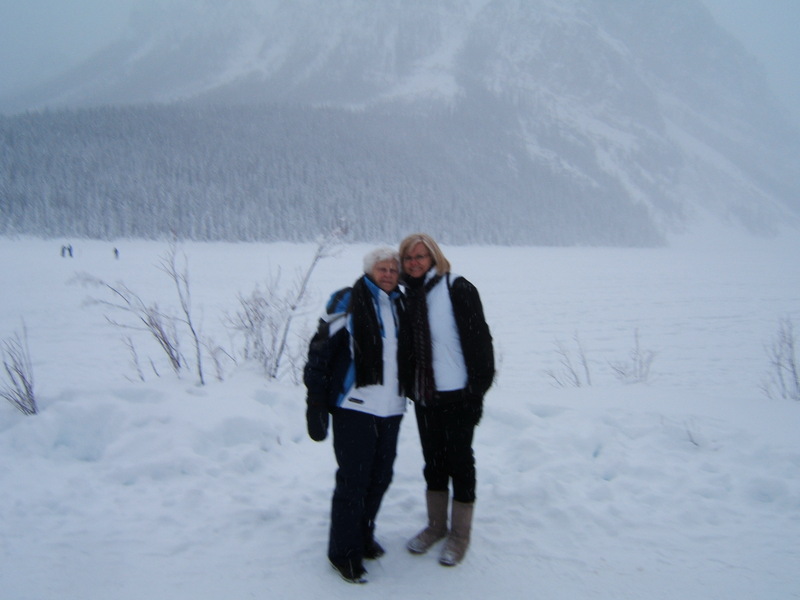 We did a run out to Banff and Lake Louise. On the way we saw a moose, but could not stop to take a picture. As we pulled out of Lake Louise and onto the Bow Valley Parkway, I spotted something in the ditch, a flipping bear. I pulled over to the shoulder to try to get a picture. Please note the car to the right. This is a panic-stricken idiot of a tourist who decided to stop in the middle of the freaking highway. Also note the oncoming car moving at 60 miles per hour. Also note that the fool was blocking our view and could only shoot out the rear window. As we continued on, we came up on a line up of traffic. It was like the drive through at Tim Horton’s on a weekday morning. As we inched our way along, I soon saw what the hold up was. A Bighorn Sheep on the side of the road. Once we got up to it, I literally stuck my phone out the window and took a picture. The pavement edge is in the bottom right corner. Our next stop up the road was at a spot where about 30 vehicles were pulled over. We looked, couldn’t see anything and then noticed the elk, way back in the forest. Kirk hopped out and headed for them. He got the shot from afar. I didn’t have the heart to tell him that they wander the streets in parts of Banff. To sum up the day, we got pictures of 2 elk, 1 bear, 1 bighorn sheep and 3 beer drinkers. We didn’t get shots of 1 moose, a bald eagle and many gophers. A pretty good day. 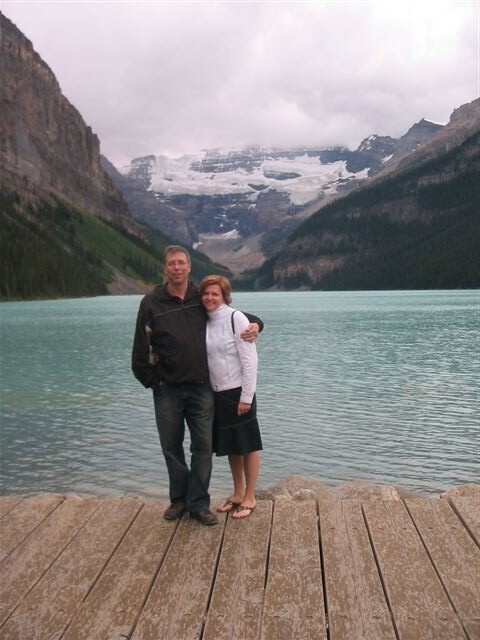 Living in Calgary means being close to one of the icons of travel, Lake Louise and of course, the classic picture of one standing on the edge with the majestic view behind you. 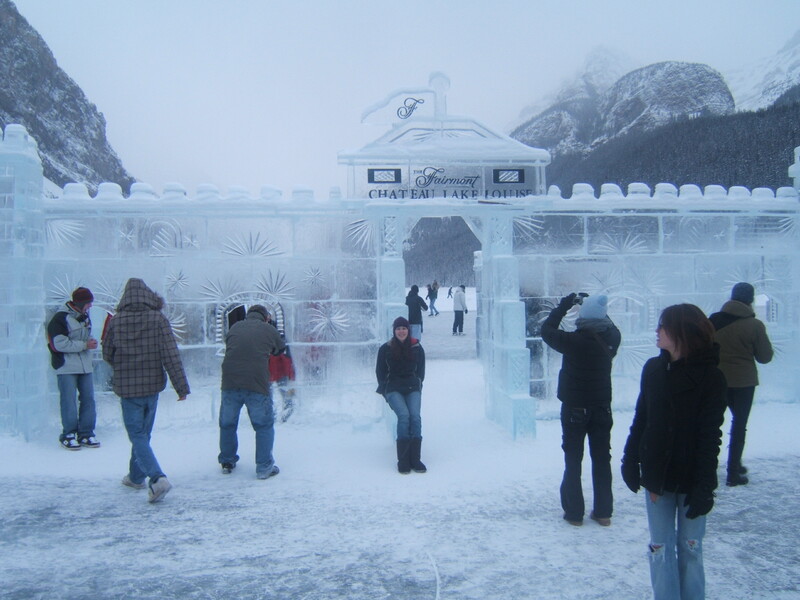 We have now been there many times with guests and have taken the picture on multiple occasions. 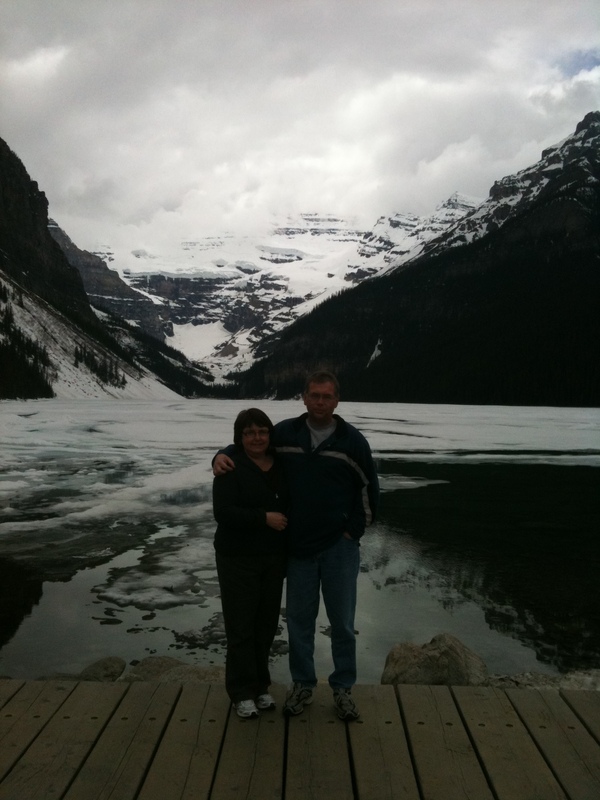 So, without much fanfare, I have compiled the Lake Louise Post of Fame. I will add to this on each opportunity (or as I find old pictures). I also encourage our friends and relatives to contribute their own photos to the cause and I will update the Post of Fame. The singer of the iconic song, “The Cover Of The Rolling Stone” passed away on December 31, 2018 at the age of 81. Usually a back up singer for Dr Hook and the Medicine Show, he sang lead for this song and will always be remembered for it.